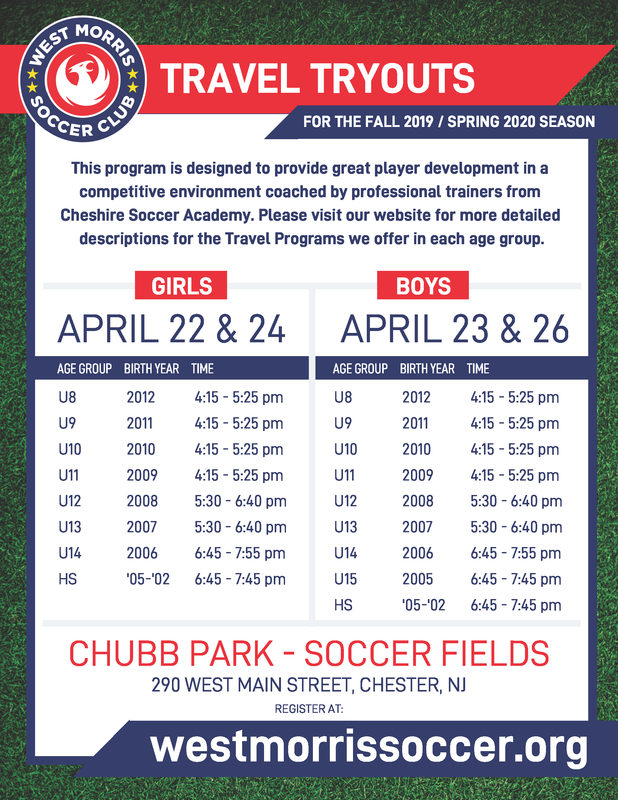 Tryouts for players wishing to participate in WMSC’s Fall 2019/Spring 2020 Travel Soccer Program will be held the week of April 22nd - 26th 2019. A detailed schedule is below. Register online PRIOR to tryouts -- be sure to register for the age group in which your child will be competing NEXT year.